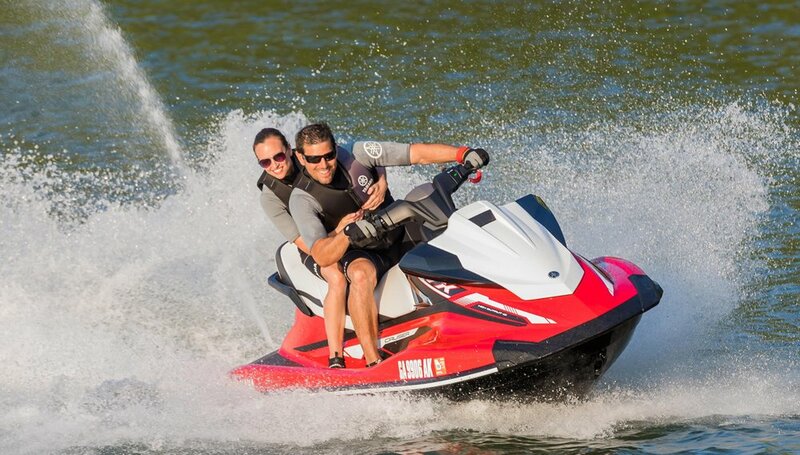 The 2018 Yamaha VX Cruiser boasts all the performance and features of the rest of the VX line, along with a touring saddle and cruise control. 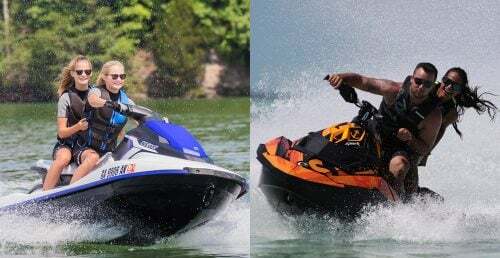 By this point, even casual observers of the personal watercraft market likely know the success story of Yamaha’s VX line. VX models marked the first truly affordable four-strokes on the market, dominated sales for over a decade, and ultimately matured into Yamaha’s midrange offering. Today, the line continues to combine value and versatility, even if it does look far more upscale than the original. 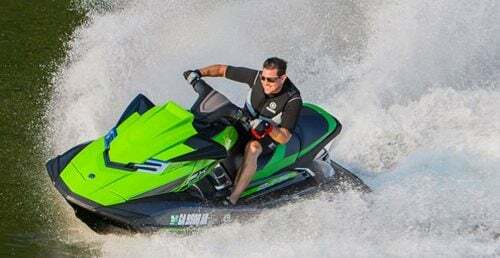 The 2018 Yamaha VX Cruiser is no exception. The VX Cruiser does the standard issue VX one better with items that long-distance riders, or just those that like amenities, will appreciate — a bolstered touring saddle and the benefits of speed control. 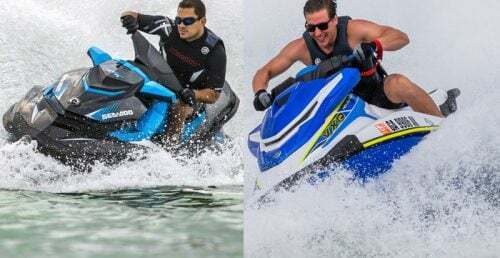 Before we go into what makes the 2018 Yamaha VX Cruiser worth a few extra dollars, first let’s recap the VX hit list. The hull has always been a versatile performer, able to calm the nerves of rank amateurs as well as satisfy budding performance enthusiasts. 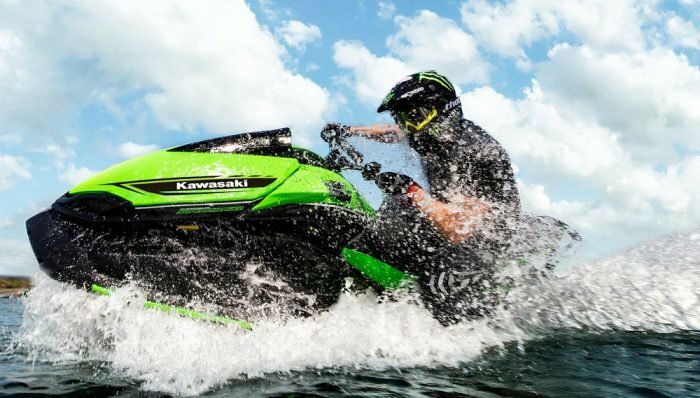 It’s exceptionally stable, handles rough water with trademark Yamaha finesse, and can carve a sweet corner with intuitive, inside-lean handling. Up top, the once tame deck benefited from a refresh recently to take on much of the flagship FX line’s styling. The storage compartment lid and mirrors combine into the FX’s trademark, triangular shape, giving the craft a distinctly muscular feel. Lines continue aft with likewise aggressive styling. Colors are metallic, graphics go beyond the basic, and the end result is an attractive craft that looks expensive, even if it is in fact moderately priced. Under the saddle resides an engine that debuted in 2016, the 1,049cc TR-1 HO. Compact and efficient, the TR-1 boasts 13hp more than the previous MR-1 engine that long powered VX models. 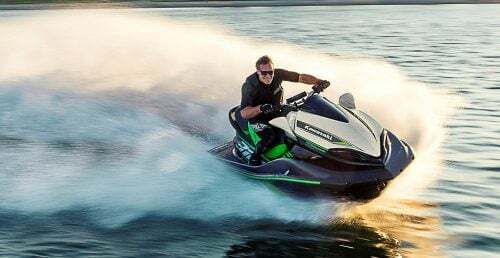 Pull the throttle and it delivers snappy acceleration and a seamless midrange, even if top speed still peaks around the 53-54 mph mark that has defined the VX. It also sips fuel, consuming as little as 3.7 gallons per hour at a midrange 30 mph. Like the MR-1, the TR-1 has also proven exceptionally reliable, making the VX a strong contender for those looking for a midrange craft. As to what makes this VX a cruiser, look no further than the seat. 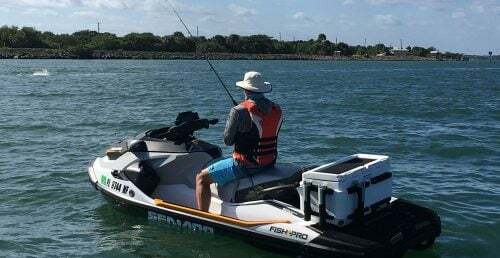 Yamaha has virtually mastered the Cruiser saddle, offering three distinct spots for driver and each passenger, pampering the driver and aft-most passenger with large, supportive lower-back bolsters, and tiering the saddle upwards to improve passenger’s forward view. 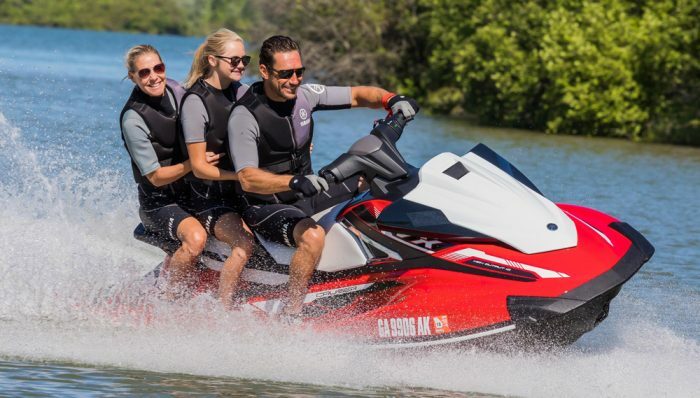 Appropriately, the 2018 Yamaha VX Cruiser also gets cruise control to take the hassle out of extended rides at a steady speed or lock in a steady speed for skiers and board riders, and a no-wake mode to do likewise for those extended slow-speed zones. Both are activated with the push of a handlebar-mounted button; cruise can be adjusted via up-down buttons to further dial in the ride. 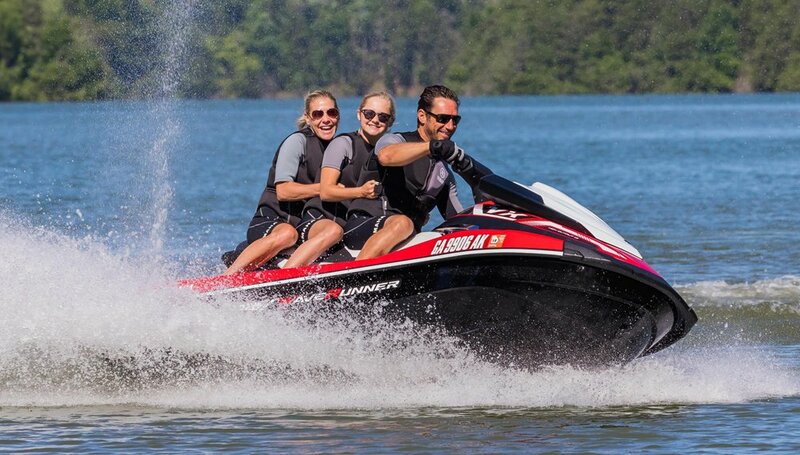 Not a Cruiser-specific benefit, but one of the greatest handling enhancements on the craft is RiDE, Yamaha’s solution to low-speed handling, reverse, and rapid deceleration. 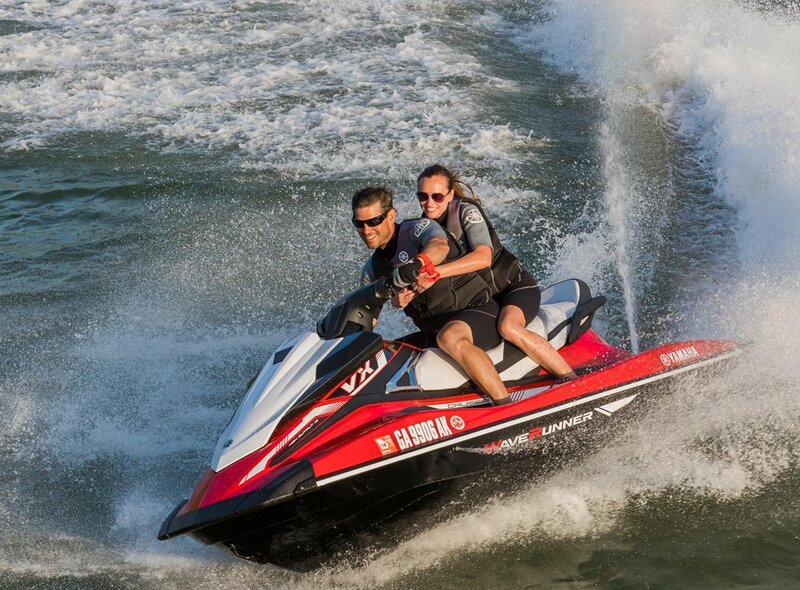 RiDE gives a WaveRunner two throttles. The righthand throttle works as always, but the left will override the right’s input and provide reverse thrust by lowering the reverse gate at the pump. At speed, this provides a rapid deceleration when desired. At slow speeds, it reduces forward-reverse handling to a simple pull of the appropriate lever. Release both and the craft assumes a neutral mode, the thrust deflected just enough to keep the boat stationary. Other items of note include a remote transmitter that can “lock” the ignition against unauthorized use as well as activate a low-RPM mode to save fuel or limit power for new riders; a forward storage compartment that can hold 24.6 gallons and a screw-top waterproof container under the seat for smaller items; a spring-loaded boarding step for deep-water access; two-tone traction mats; and a glovebox that accommodates two cans or water bottles. 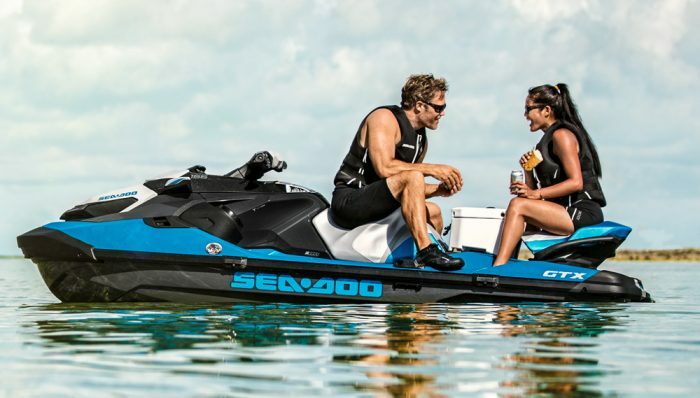 When it comes to competition for the 2018 Yamaha VX Cruiser, Sea-Doo’s GTI SE with Rotax 1503 4-TEC ($10,499) also proves versatile and offers an impressive touring-style saddle, and features Intelligent Brake & Reverse. 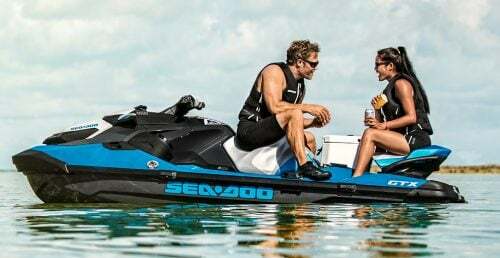 Sea-Doo offers two user-selectable acceleration profiles and electric trim, items that Yamaha does not include, but Sea-Doo omits cruise control and no-wake mode. Think carefully about how you’ll use your craft and what features might be of value.